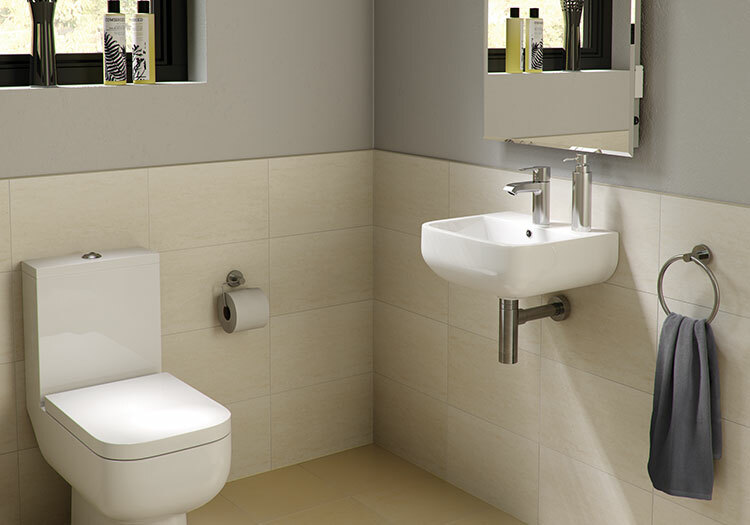 The Series 600 is probably the most space saving range on the market. The close coupled WC projects from the wall by only 595mm. Despite its contemporary styling and air of quality it is incredibly afforable. 520mm Basin and Full Pedestal. Choose one of four mono basin mixers to finish your suite.